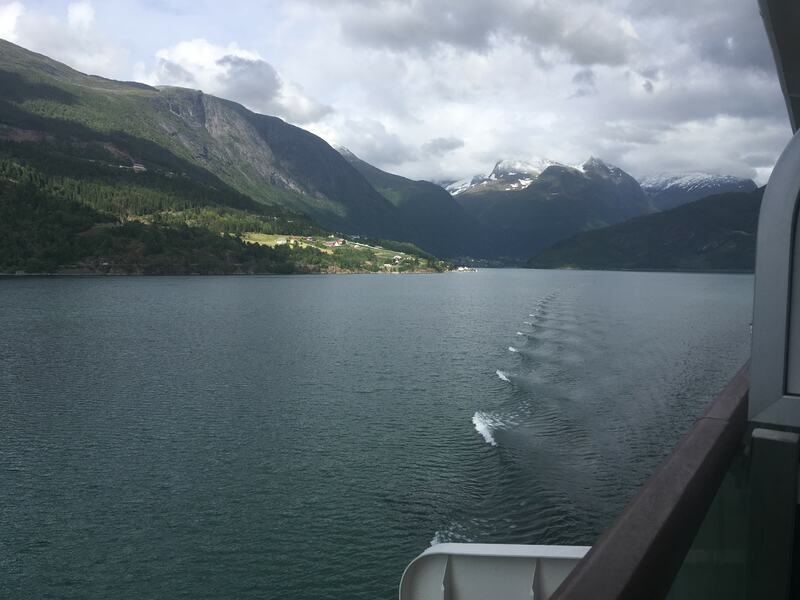 In June 2018 I took a cruise around the Norwegian Fjords with my lovely Mum. 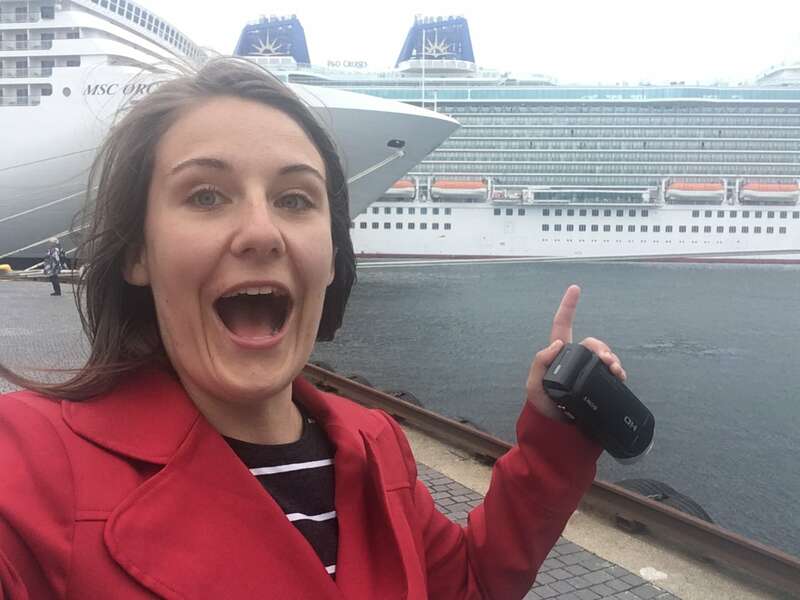 In this post, I’ll share with you the things I wish I knew before my first cruise to Norway. 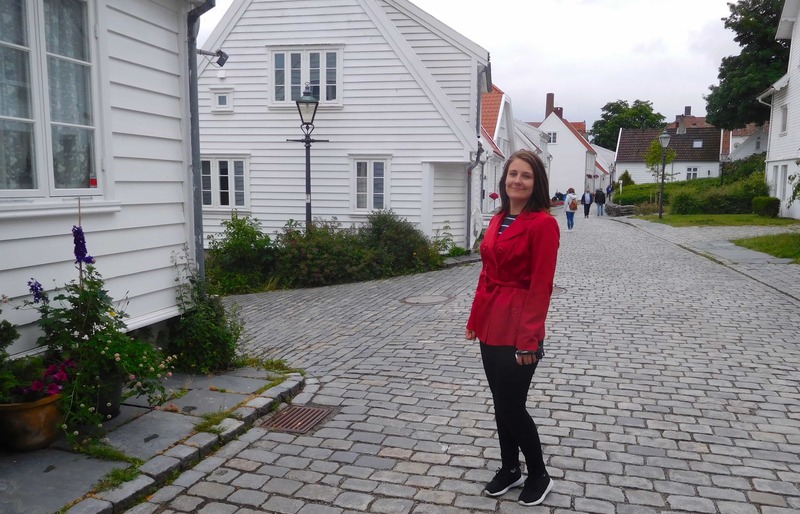 Including, when to go, what to pack, what to do onboard and my tips for the following ports: Bergen, Olden, Stavanger and Aldalsnes. 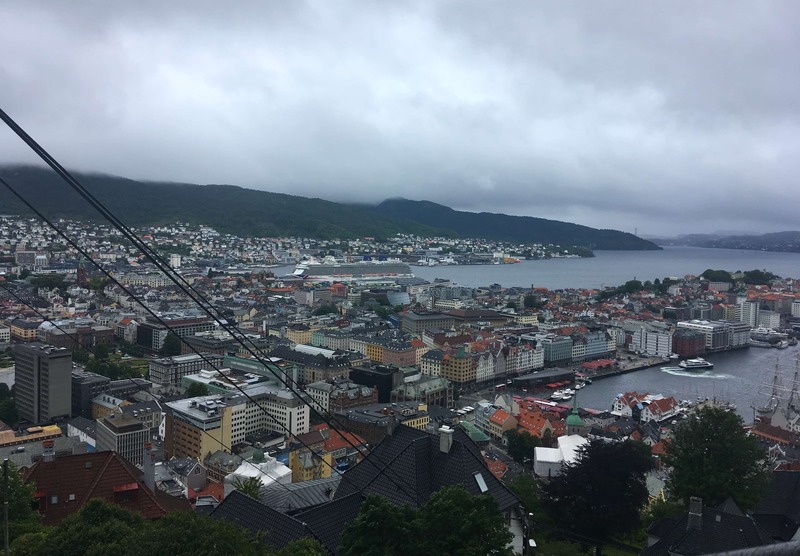 All tips are based on my experience cruising around the Norwegian Fjords in June 2018. 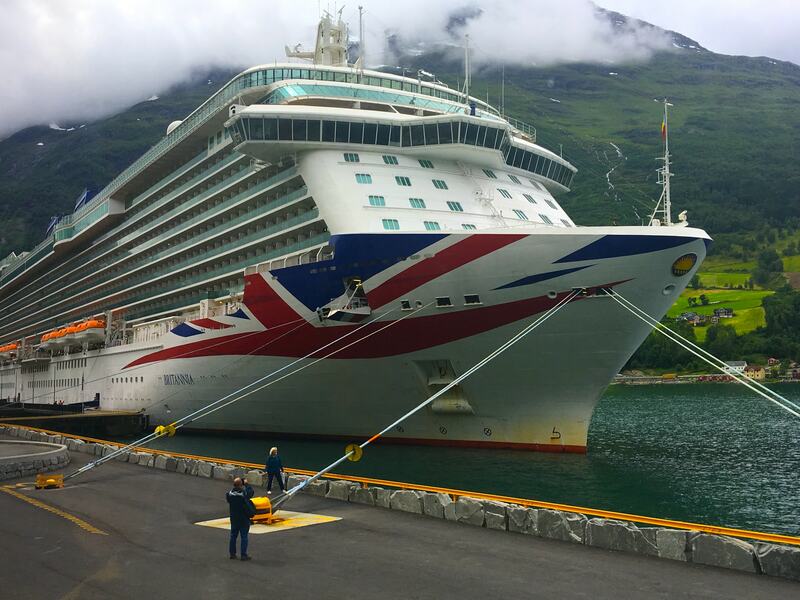 We cruised on Britannia and had an AMAZING time. 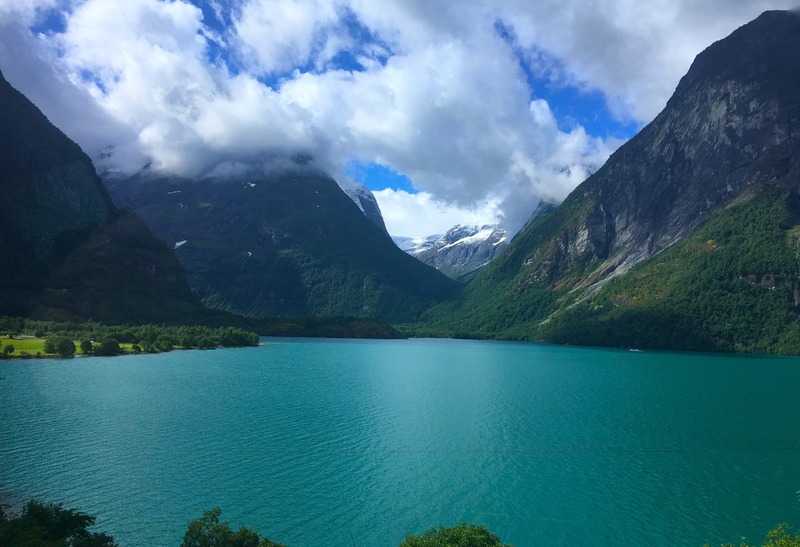 I would 110% recommend a Norwegian Fjords cruise to anybody. 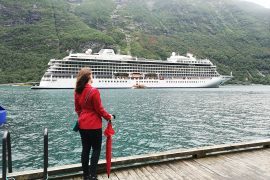 When is the best time to cruise the Norwegian Fjords? The Norwegian Fjords cruising season runs from May until September. The only cruise line that offers Norwegian Fjords cruises all year round is Hurtigruten. Peak time tends to be in July and August with this itinerary being particularly popular with families. In the UK children are off school from mid-July until early September so if you can avoid travelling at this time I would, not only will it be busier but it’ll be significantly more expensive! It’s true! In some parts of Norway they even have a ‘midnight sun’. 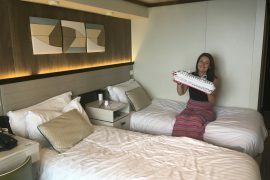 Cruise ship cabins usually have pretty thick curtains so I don’t have any trouble sleeping but if you are somebody who cannot tolerate even the smallest amount of light in the room when you sleep then you might want to consider an inside cabin. 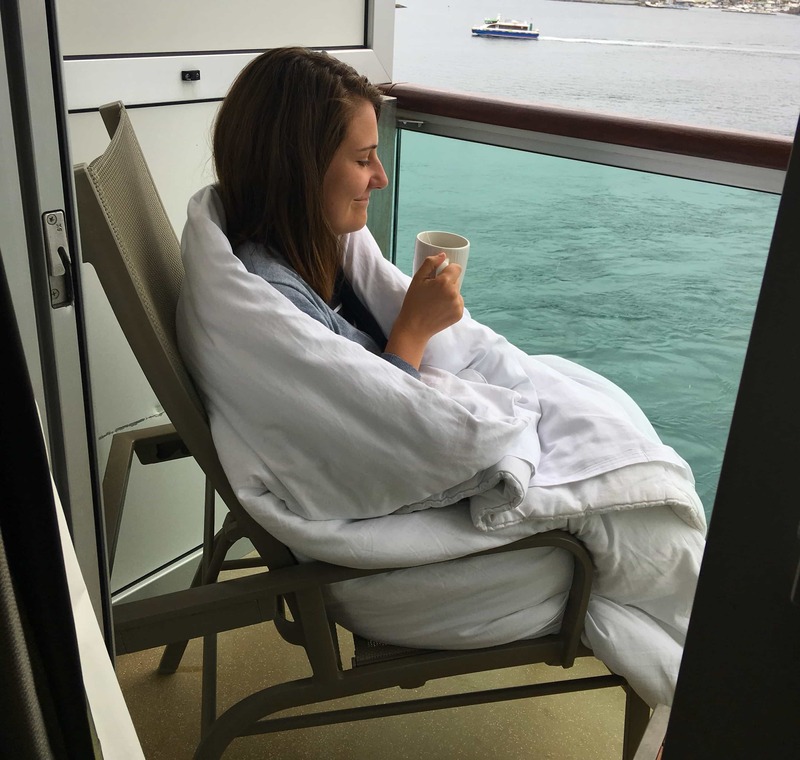 What is the weather like on a Norwegian Fjords cruise? The weather in Norway is unpredictable and very often wet. The weather in Summer SHOULD be dry and can even be pretty warm. 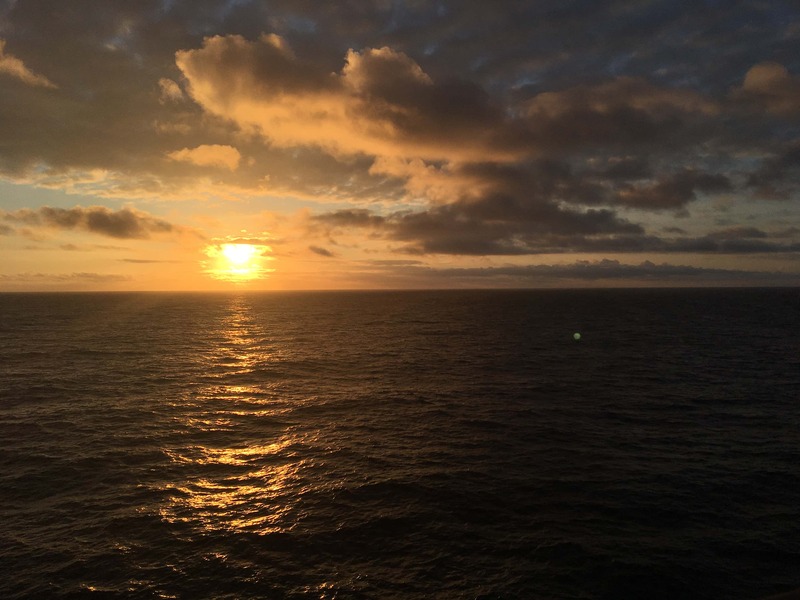 We cruised in June and it rained every single day… However, I have a few friends who cruised two weeks earlier had glorious sunshine every day and temperatures reached 30c! (90f). I would not base your decision on when to go around the weather. It’s extremely unpredictable! Take sensible shoes, a waterproof jacket, jeans, jumpers (sweaters). As I mentioned above we had rain every single day. Annoyingly the UK was experiencing a heat wave at the time! A waterproof jacket/a coat is without a doubt the most important thing you should pack. I wore my red coat every single day. Make sure you pack some dresses/shorts! This one might seem a bit silly given what I said above but the weather can reach 30c (90f). It can also vary a lot between ports so just because you have one rainy day doesn’t mean it will rain for the entire cruise. 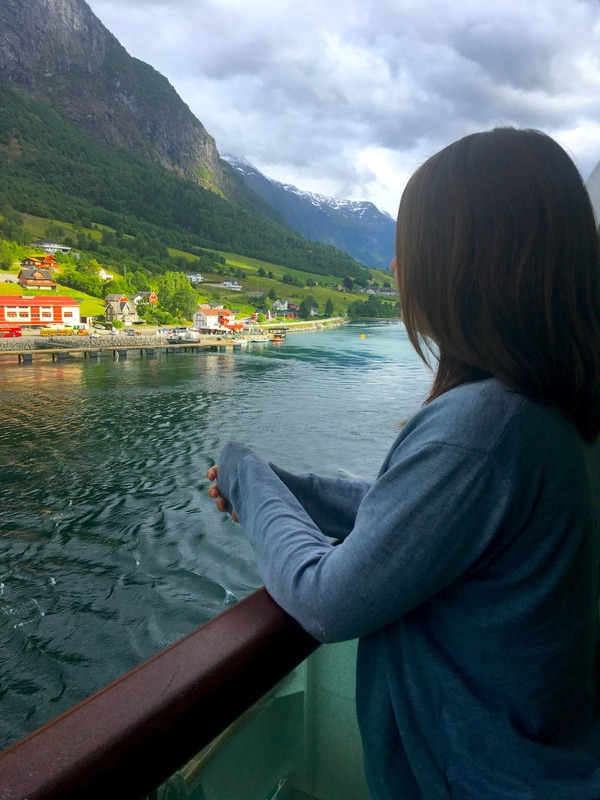 The views are INCREDIBLE as you sail around the Norwegian Fjords. I don’t really use binoculars but mum likes to so if you’d like to spy on people as you go by it can be worth packing binoculars. A good camera with a zoom can also work the same way. Bring the best camera you have! (Or at least your phone). All of my photos were taken on my iPhone because quite frankly I have no idea how to use a decent DSLR camera. You’ll want to take SO many photos. Look at this!! It’s INCREDIBLE. These tips are general to the whole of Norway. There are more specific tips about the ports that we visited at the end of this post. This one might sound strange coming from me because I’m usually such an advocate for inside cabins but… book a balcony cabin if you can. 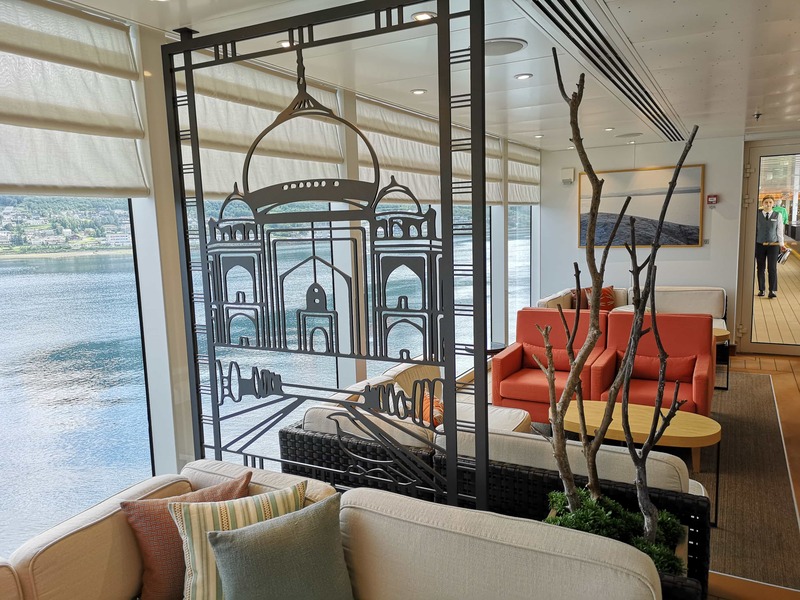 I am usually a massive fan of inside cabins but I do believe you’d miss out if you had an inside cabin for a Norwegian Fjords cruise. There are amazing views almost all the time and it would be a shame to miss even a second! If you do book an inside cabin make sure you don’t spend too much time in your room. Inside cabins can be a great place to wash and sleep but aren’t really the best place to spend your days.If you fancy finding out a little more about inside cabins check out this post: Are inside cabins claustrophobic? Make sure you book whatever tours you’d like to do as early as possible. We booked ours onboard and a lot of them were already sold out which limited our options. Ideally, you should book the tours before you travel. It’s usually possible to do this on the website of most cruise lines. 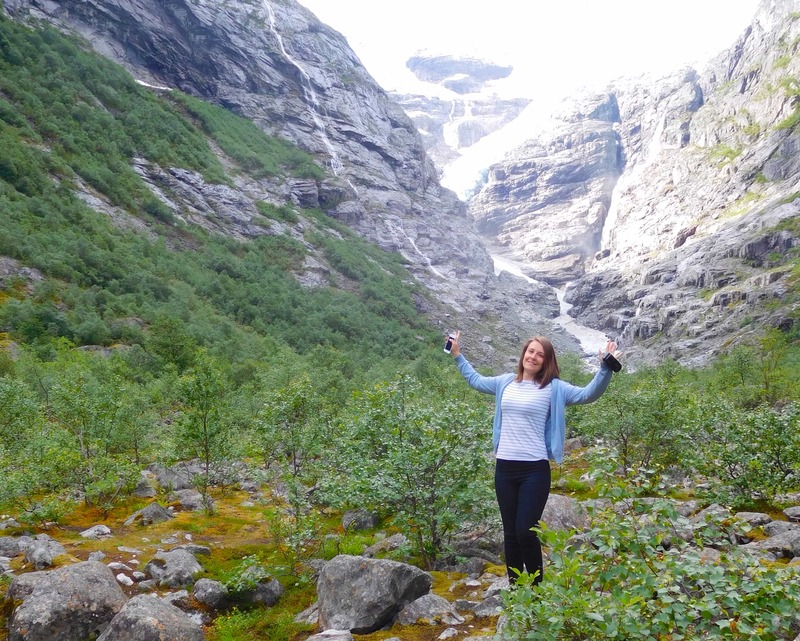 If not try and book the tours on the first day to avoid disappointment!I am below looking very pleased with myself at the Briksdal glacier in Olden. Be aware that a lot of things are closed on Sundays! 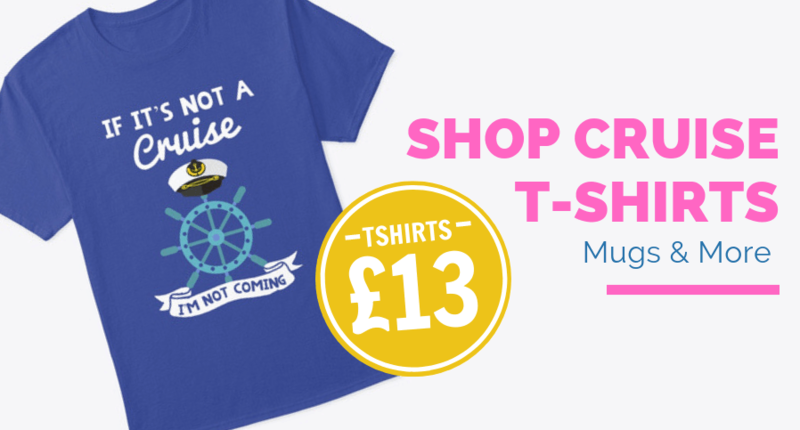 If you are docking on a Sunday don’t assume that shops will be open. It’s always best to do your research and check before you cruise. 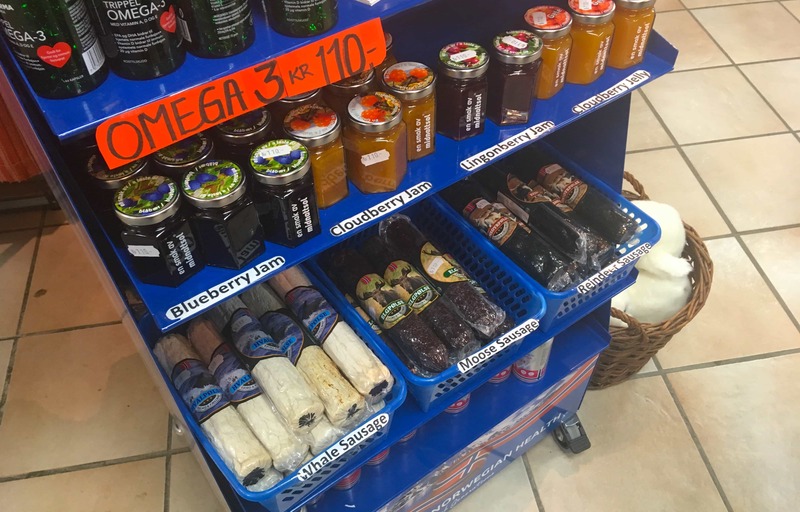 Look out for weird things in the souvenir shops… I managed to find a whale sausage! Unless there is somewhere you particularly wish to visit, look at at the weather forecast before booking excursions. This is what it was meant to look like! 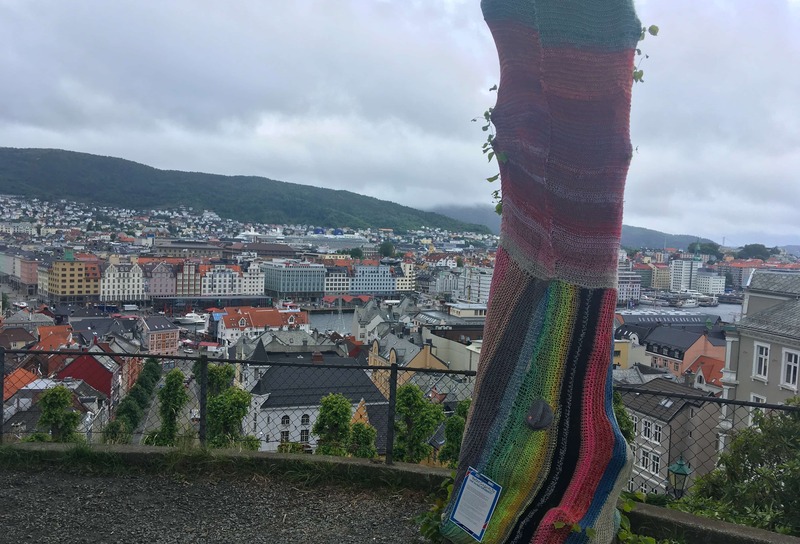 In the next section of this post, we talk about the ports of Bergen, Olden, Stavanger and Andalsnes. Take the funicular railway! 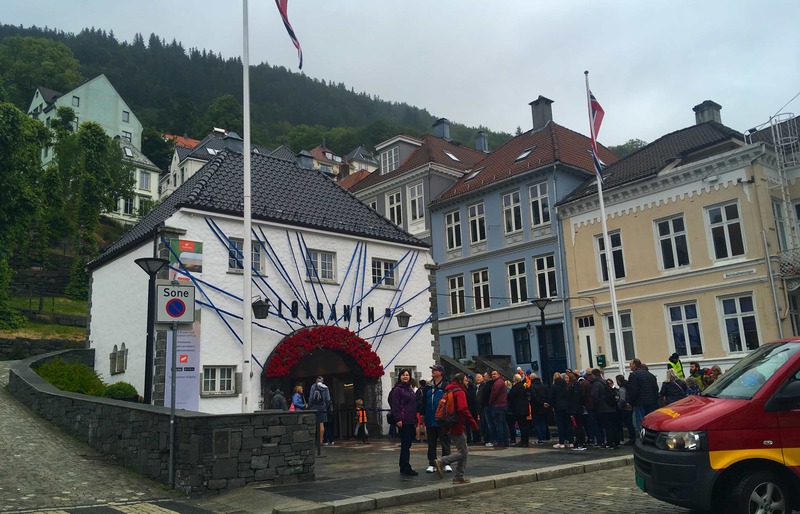 The number one attraction in Bergen appears to be the funicular railway. 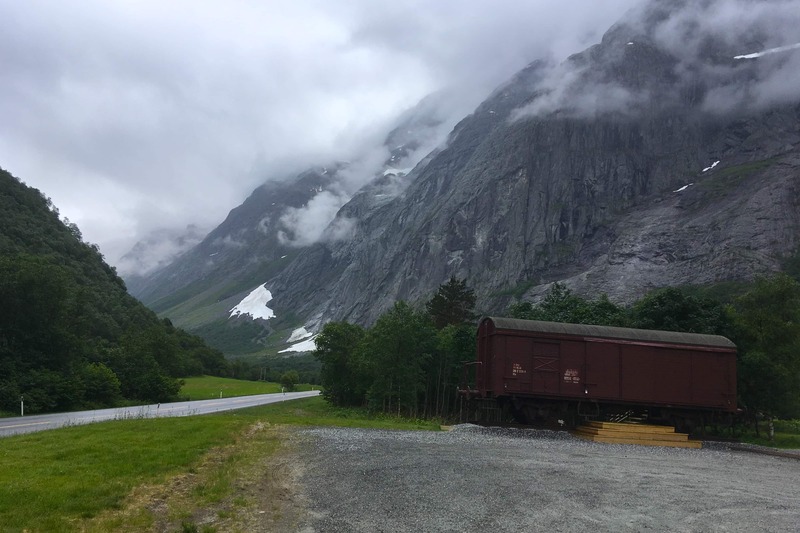 It is a gentle stroll to the bottom of the railway, and easy to pay by credit card – no kroner needed. Approx £9.75 for two adults one way. Once at the top it is a lovely walk back down the hill on a tarmacked road, through the wooded hillside. No need to pay for an excursion!. We found out from a fellow passenger later that there is actually a lake ten minutes from top of the hill, may be worth a look if its a sunny day. If you do take the funicular railway go later in the day. We went in the morning and couldn’t see a thing because of the fog! We could have been anywhere. If you are physically able to, make sure you walk back down. The path is a winding road and you’ll see some amazing sights along the way! It was really cool for us to be able to get below the clouds and see the ships. Look out for the trees that have their own jumpers! I’m not kidding. 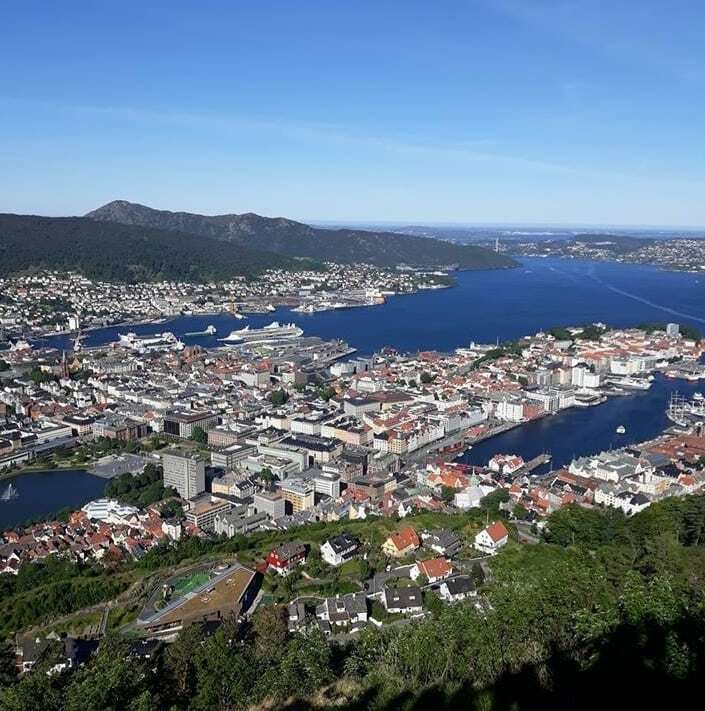 Be aware that you may sail away from Bergen quite early. I’m not too sure why they do this but a sail away of 3 pm can be quite standard. It’s probably just because this is the last port on the itinerary for cruise lines like P&O and Princess. The cruise line will let you know what time the ship is set to sail. Visit the old town. It is easy to wander around is and genuinely just a lovely place! There will be a lot of tourists here. I wonder what it would be like to live in one of these houses with thousands of tourists wandering up and down your street. No wonder they all have net curtains. Be careful when walking around the roads. Even in the newer part of town, the roads can be a little difficult. 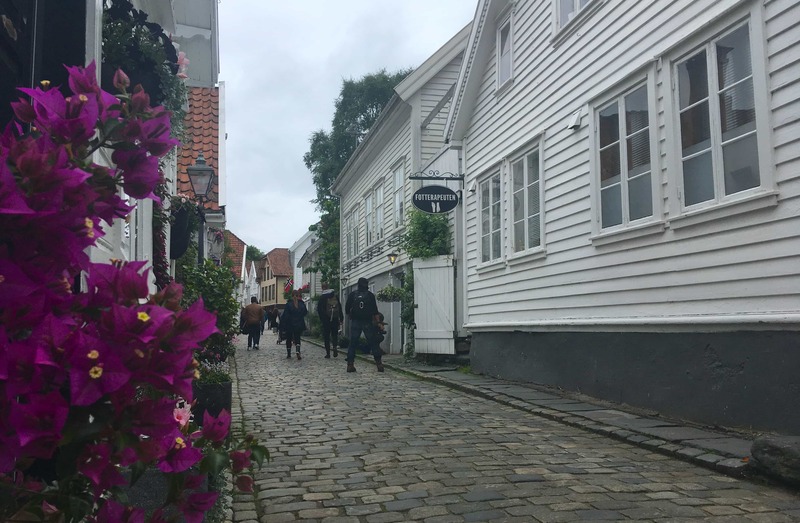 If you are in a wheelchair it may be a good idea to stick to the main streets and not venture up and down all of the little cobbled streets that I found myself wandering around. 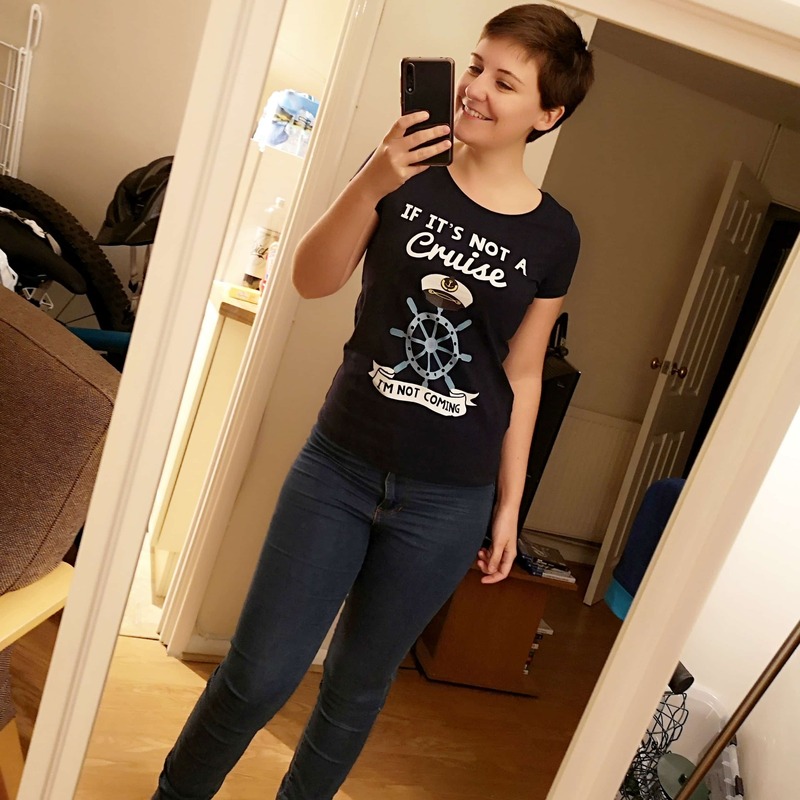 Check out the other ships. There are usually multiple cruise ships docked in Stavanger at the same time. Make sure you get out and have a peek at the other ships! This is always one of my favourite things to do in a port. We were docked beside the MSC Orchestra and the Viking Sun. (Bit ironic since it rained every day on this cruise). Wander around the lake at Stravanger park. There is a lovely little park not too far from the cruise port. It is easy to walk there and wandering around the lake is very pleasant. Even in the rain, it was lovely. 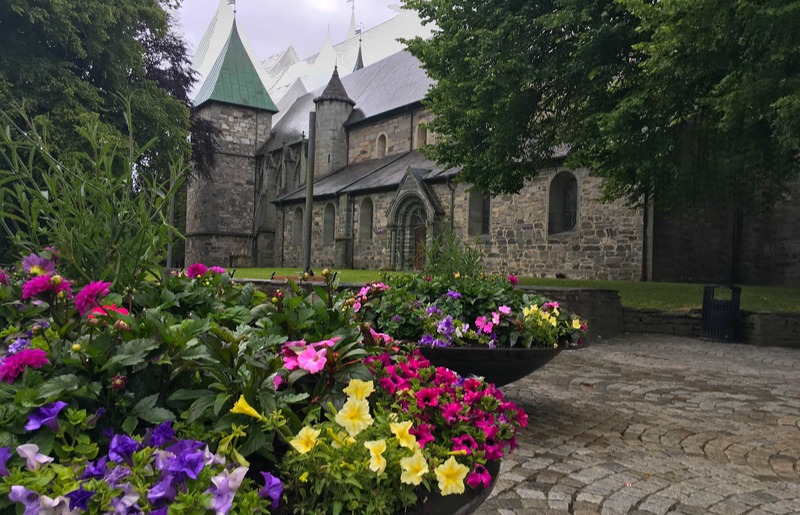 The park is right beside a cathedral. 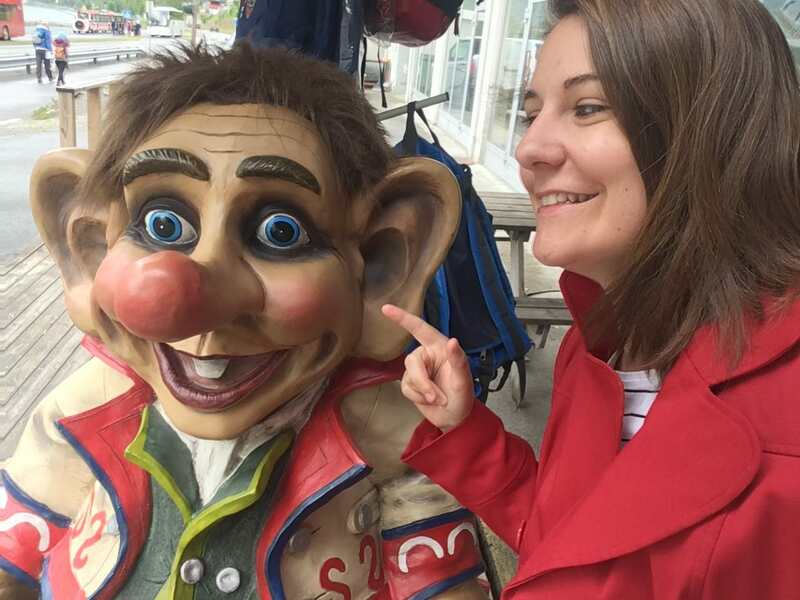 Have your photo taken with a troll. 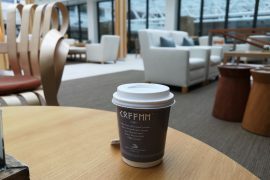 Go on, you know you want too! 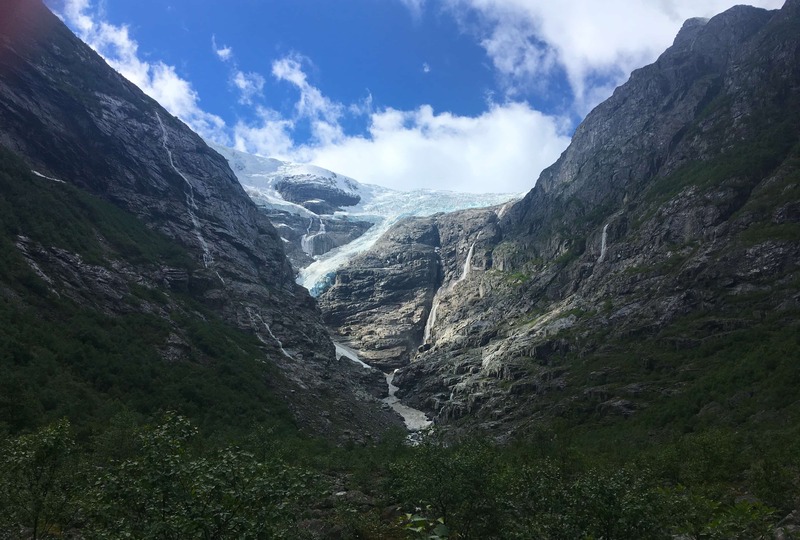 Visit the Briksdal glacier. I would 100% recommend doing this. The glacier is SO COOL (mind the pun) and there are lots of lovely paths to walk around near it. There is even a couple of toilets here which I really appreciated. It takes around 45 minutes to get here from the cruise ship but you’ll get to see some amazing views on the way. Skip the Loen Skylift. 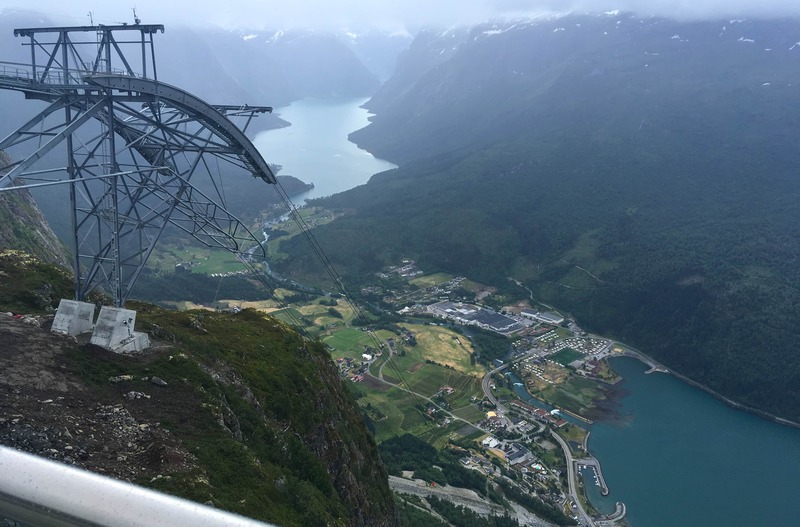 We took the Loen Skylift and I honestly wouldn’t recommend it. The price of this is around £50 per person! (I know Norway is expensive but that is mad). The skylift only goes up and down every 30 minutes and 35 people fit in one skylift meaning you can’t really see anything on the way up or down. I really hate to be negative and tell people not to do things but I honestly just thought this was a waste of money. The views are really good but I don’t think £50 worth of good. Maybe it would have been better if it wasn’t so blooming cold!! Take as many photos of the ship as you can! 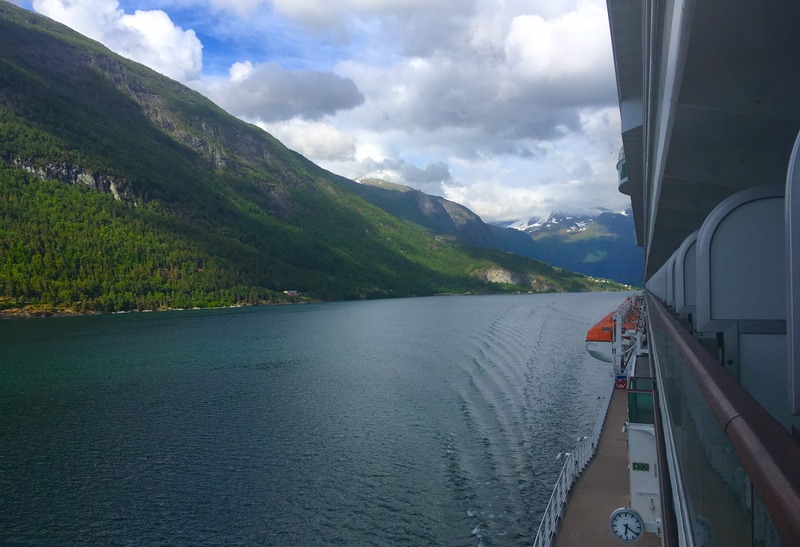 There is NO better backdrop than that of the Norwegian Fjords. Even in bad weather, the ships look amazing. I honestly think the clouds and fog add a little something which makes it seem mysterious?! Do NOT miss the sail away! 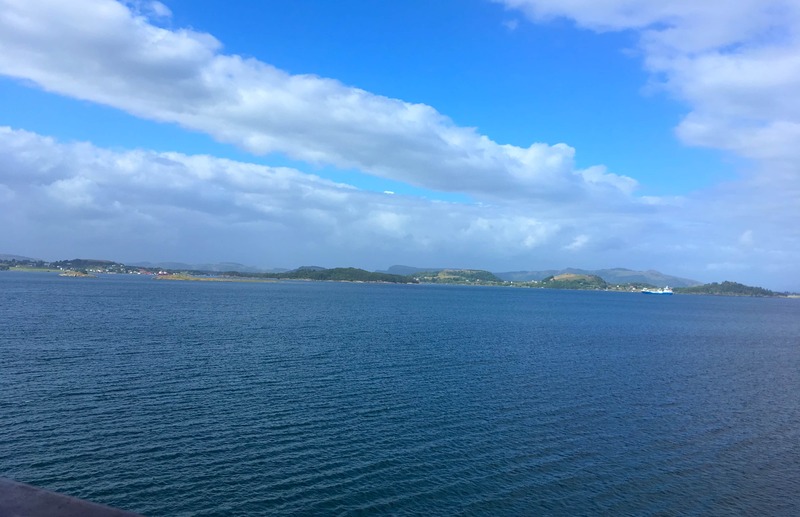 As we departed Olden a small cafe on the ship blasted out ‘I am sailing’ by Rod Stewart followed by ‘Time tooo…. say… goooddbyyyyyeee’ by Katherine Jenkins. Don’t pretend you didn’t just sing that in your head. I did! Take a gamble on the troll wall? I’m not TOO sure if this really counts as a tip but I would say think twice about booking a trip to the bottom of troll wall. If the weather is bad you won’t see a thing. I hadn’t ever looked up the troll wall before so I had no idea what I was meant to be seeing. Head UP the troll wall. 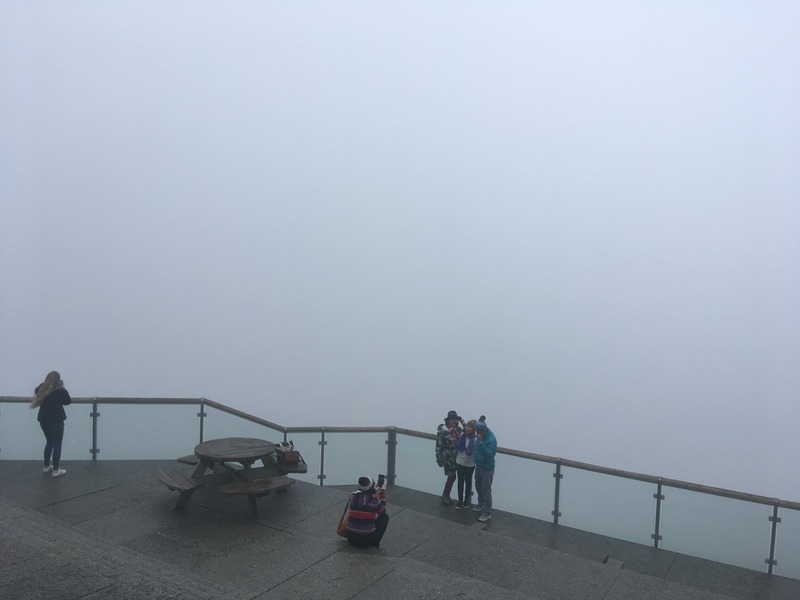 I made some friends on this cruise and they told me that they had been UP the troll wall and had amazing views from up there. If I went again I would pick a tour that took you to the top of the wall whereas ours just took us to the bottom where we stared up at the clouds. 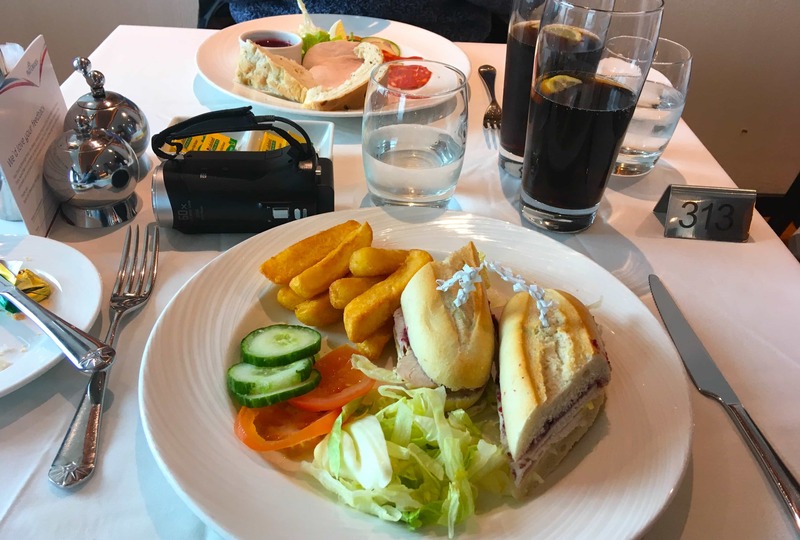 Eat as much food as you can on the ship so that you don’t have to eat in port… Norway is really expensive and I have no interest in paying for food when I have an unlimited supply on the ship! Make sure you eat a big breakfast and you’ll be fine for a while. If you have kids though it may be worth bringing some snacks. 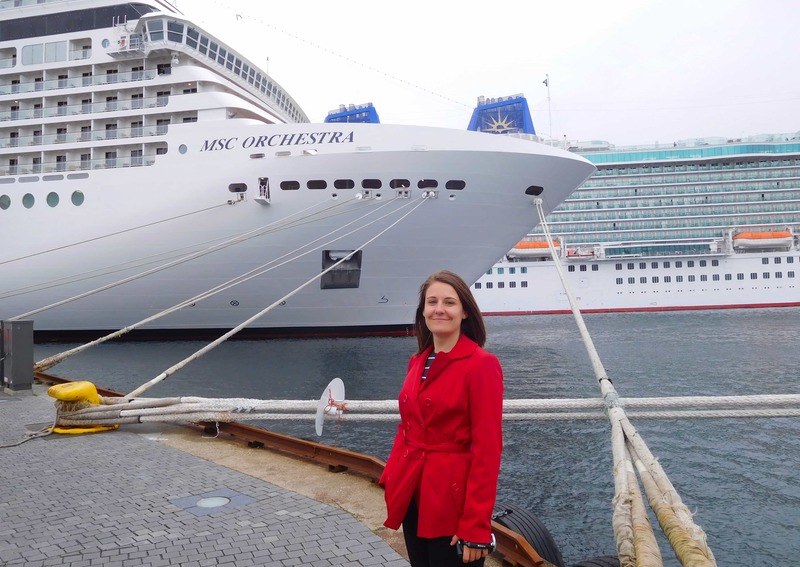 This was my first P&O cruise and I was REALLY impressed with the food and service onboard. 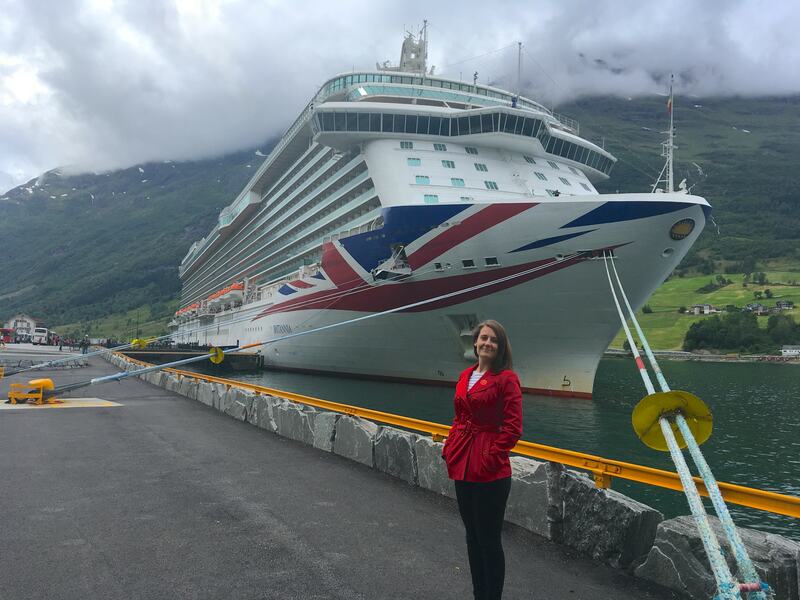 If you are cruising onboard Britannia make sure you check out this post. P&O Britannia: 8 free ‘must do’ activities. Britannia is an amazing ship but she is HUGE and it can be difficult to make the most of your time onboard. I also filmed a tour video when I was onboard and will be posting daily vlogs in each port. 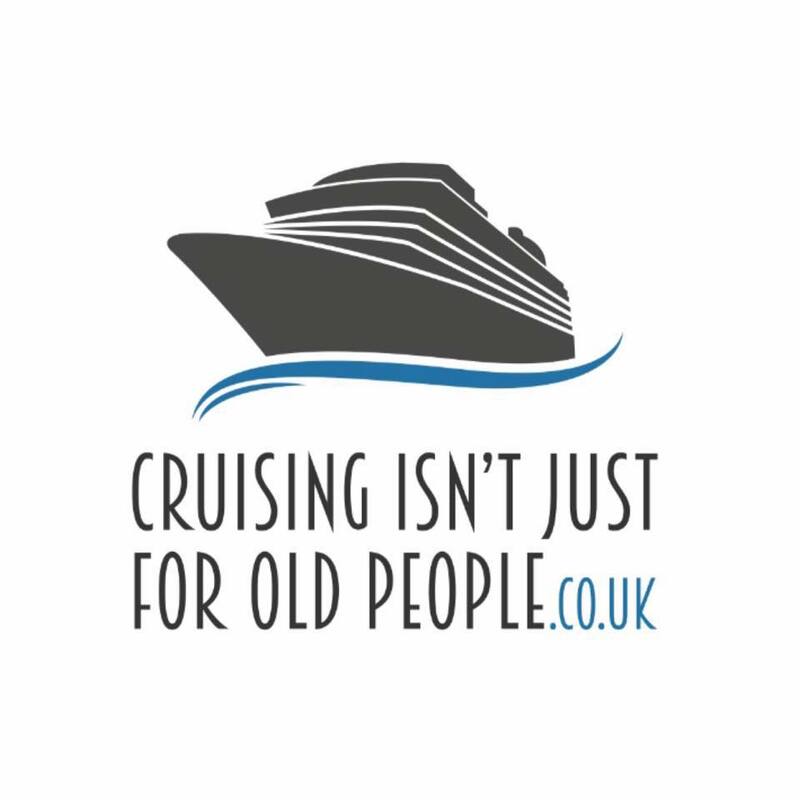 If you have any questions please leave a comment or join our Facebook group (Cruising Isn’t Just For Old People). We have 1600+ members all of whom would love to answer your questions and see your photos/hear your stories!